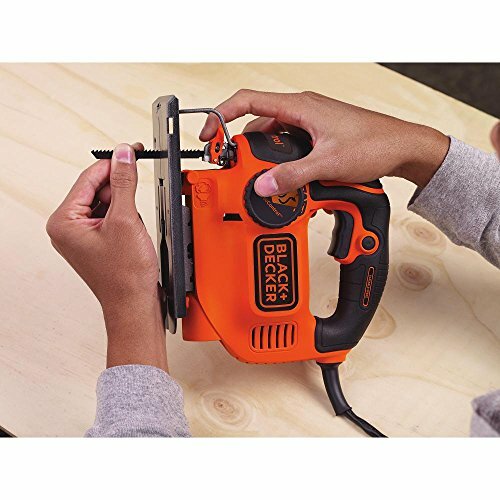 Black & Decker BDEJS600C 5.0amp Smart Select Jig Saw features Curve Control technology, allowing you to adjust the saw’s orbit in 1 of 4 customized settings to help complete your specific project. 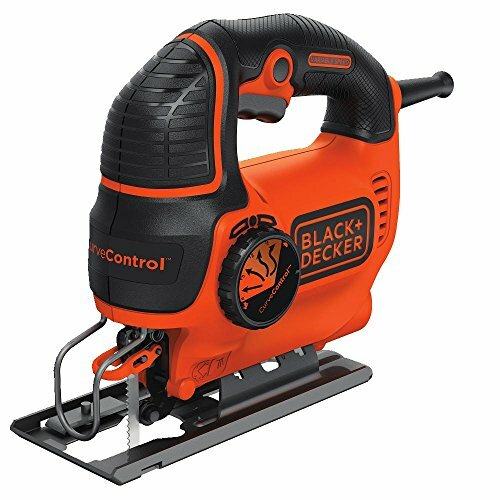 The 5 Amp variable-speed motor generates up to 3,000 SPM of cutting power. 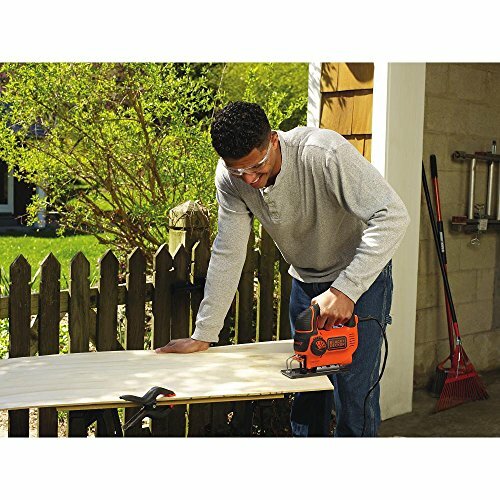 This saw can make bevel cuts of up to 45 degrees and features an adjustable shoe for a stable cutting platform. 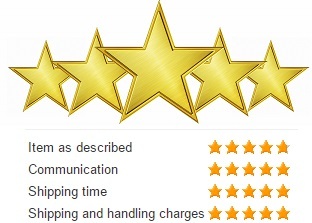 It also has a new and improved Wire Guard which provides clear line of sight for precise cuts. 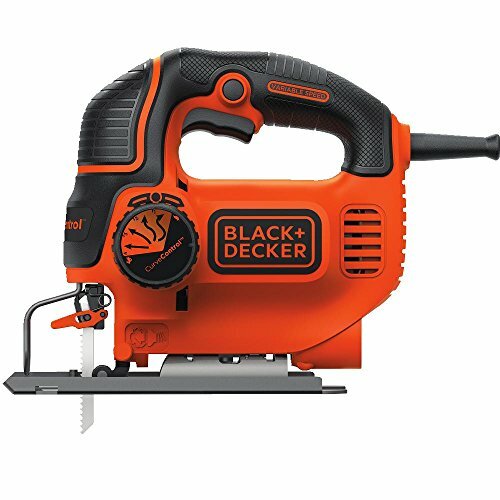 Includes: (1) BDEJS600C Jigsaw and (1) Jigsaw Blade.